So you’ve made the leap into the world of matcha but now you’re wondering how to prepare matcha? 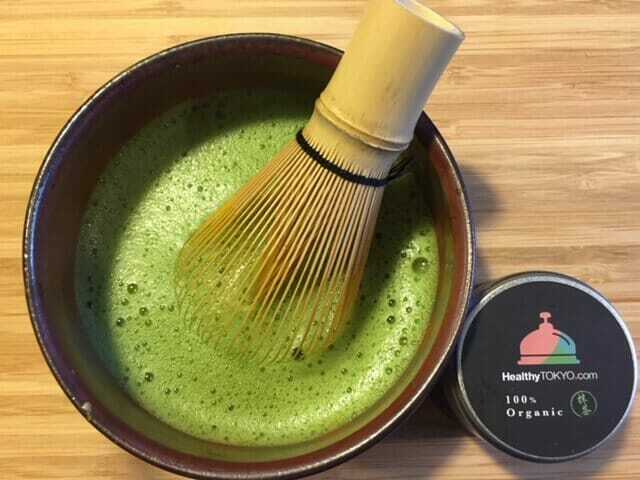 Hopefully you have sought out the highest quality of organic matcha to maximize not only the nutritional elements but also the taste experience as well. With a few simple tips you can be on the way to creating the perfect cup of matcha in your own home. Making a matcha drink in my own kitchen gives me pause to slow down and embrace the process itself. Spooning out the vibrant green matcha I think about what took place before the lid went on the tin. Immaculate tea plantations and time honored traditional Japanese growing and handling methods come to mind. At risk of sounding cliché, it really is a zen experience as I whisk and prepare my matcha. We can all use a little more peace and calm in our busy lives right? Hot or cold, matcha can be enjoyed in an endless number of ways. Personally I tend to drink matcha hot in the cold winter months and make the switch over to cold matcha when summer appears. Either way, perfecting a matcha beverage is easy and far more nutritionally satisfying than any matcha concoction you’ll find at the local popular coffee chain! MATCHA LATTE – This is where most matcha drinkers find their sweet spot of matcha drinking. Growing research indicates that using cow’s milk with matcha can interfere with the nutritional potential. Casein protein in regular dairy can bind with the antioxidants making it more difficult for the body to absorb. Luckily there are lots of great dairy alternatives that lend themselves nicely to matcha. Oat, almond, coconut, rice, hemp, and soy milks each bring a unique flavor to the matcha so experiment to find your preference. Oat and rice milk for example have a natural sweetness that may require no additional sweetening. Always use a natural sweetener to preserve the integrity of the matcha such as pure maple syrup or honey. My favorite matcha latte is the Matcha Maple Latte, which can be enjoyed hot or cold. Simple and uncomplicated it allows the pure organic matcha to shine through to the last drop. How to prepare Matcha Warm Maple Latte: Combine matcha with a little hot water until blended and set aside. Gently heat almond milk and maple syrup and when heated, whisk in matcha and serve, topping with extra frothed milk if desired. How to prepare Matcha Cold Maple Latte: Combine matcha with a little warm water until blended and shake or stir with milk and maple syrup. If desired, use blender to make a frothier drink. 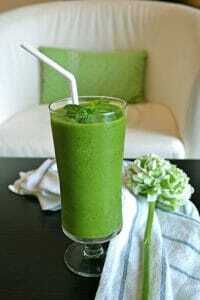 Matcha also makes the perfect enhancement to your morning power smoothie. This Matcha Mint Smoothie will kick start your morning like no other. 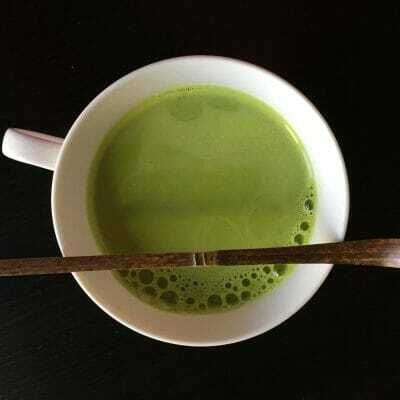 TRADITIONAL MATCHA – If you are a purist, nothing will compare to drinking matcha in the traditional manner from a chawan, or matcha bowl. Any nice crockery small bowl or wide mug can be substituted also. Using a tea sieve will produce more volume in the matcha and make for flawless blending. The chasen, or bamboo whisk yields the creamiest and most silky matcha you’ll ever taste. Heat the bowl with hot water, empty and pass through a tea sieve ¾ to 1 tsp of Healthy Tokyo No.1 CEREMONY matcha (depending on taste). Add an ounce of water, just below boiling and whisk the matcha and water into a smooth paste and slowly add in approximately another 2-3 ounces of water whisking until frothy. Sip and enjoy the zen moment. So get your own matcha experience underway. Seek out the purest form of organic matcha available and get creative in your kitchen. Treat yourself to a traditional matcha bowl or beautiful mug to maximize the experience. Embrace the purposeful and thoughtful process while preparing your matcha drink, and remember anything good in life takes a few extra moments. Essential oils in Japan – Healthy Living In A Drop!